Our South West Region is undertaking a project to realign a 1.7km section of the South Western Highway in Burekup between Russell Road and Raymond Road. This will include the construction of a new bridge over the Collie River and a culvert over the Collie River floodway. Work commenced in September 2015 and is expected to finish in April 2016. Provide a safer and modern road and bridge with safety barriers. Cater for increasing traffic volumes, especially heavy vehicles. Improve safety for locals accessing Burekup. Replace the existing deteriorating bridges with modern, durable structures with a longer life span and less maintenance liability and costs. Improve erosion control of the bridge and culvert structures, and protect the natural river bank using rocks. 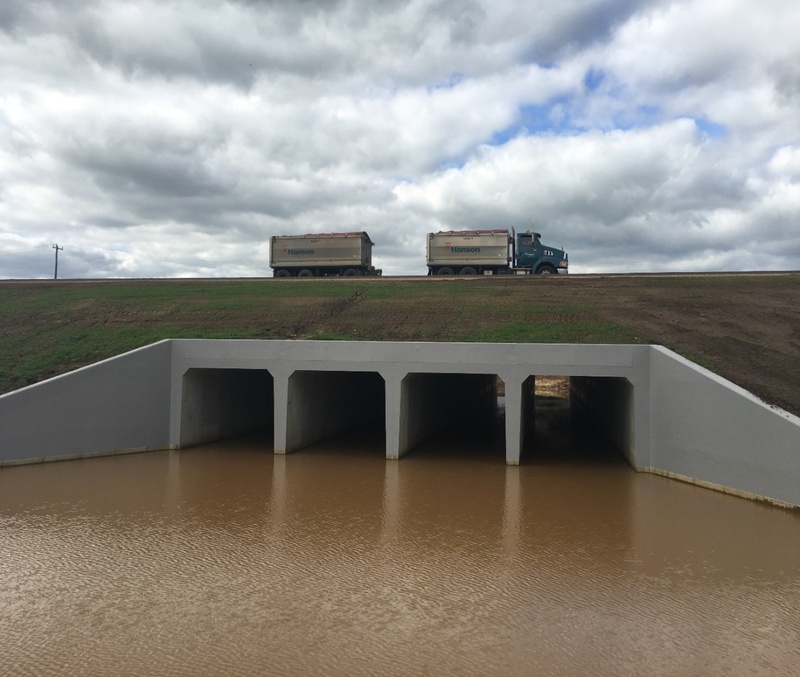 MJB Industries products supplied 144 x 2700mm x 2700mm x 1.20m MRDWA Box Culverts to 1597.2 and Main Roads Specification 404.